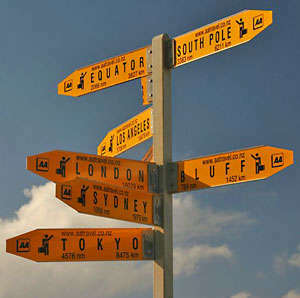 Probably most asked question when preparing for any trip – what is best time go to some place. There is only one answer – NOW. Ok, in some cases you may need to wait couple months the rainy/wet season to pass by, but don’t delay for too long if you want to go somewhere. Things are changing too quickly in these days, especially in developing countries. Everyday more and more people are traveling and it is getting more difficult to avoid crowd in popular places. I met so many people who are telling this place looks so different comparing with what they saw here 10 years ago. So go now if you have place you are dreaming to visit. Prices are going up faster then you can save, so you are wrong if you are thinking to save money for couple years and go then. It is better to visit that place second time in 10 or 20 years and you will see it from different perspective – as everything and everybody will be different – you, place, people in that place. You are wrong if you think you’ll have more time then you have now. You most likely will be even more busy. So don’t postpone things you want and can do now and not tomorrow. Hi.. i like travel trip in rainy session it’s really very interesting ……….